NASHVILLE-The Tennessee Bureau of Investigation has a new addition to the state’s Top Ten Most Wanted list, Tevin Mantez Harris of Nashville, TN. 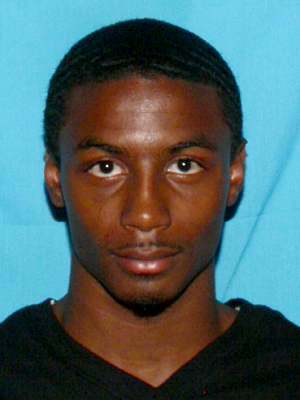 Tevin Mantez Harris aka Tevin “Turk” Harris is wanted by the Springfield Police Department and the Tennessee Bureau of Investigation. Currently, Springfield Police have charged Harris with First Degree Murder. He is also wanted for an unrelated charge of Aggravated Assault. Tevin Mantez Harris aka Tevin “Turk” Harris, age 21, of Davidson County, has a last known address of 536 31st Avenue North in Nashville. He is described as an African American male with black hair and brown eyes. He is approximately 5 foot 7 inches tall and weighs about 130 pounds. Harris has a criminal history of Evading, Aggravated Burglary and drug related arrests. Anyone with information on the whereabouts of Tevin “Turk” Harris is urged to call TBI at 1-800-TBI-FIND (1-800-824-3463) or the Springfield Police Department at 615-384-8422. There is a $1,000 reward for information leading to his arrest.